Was 2018 everything that you expected it to be? Every year contains surprises, but 2018 truly turned out to be a year that we will never forget. 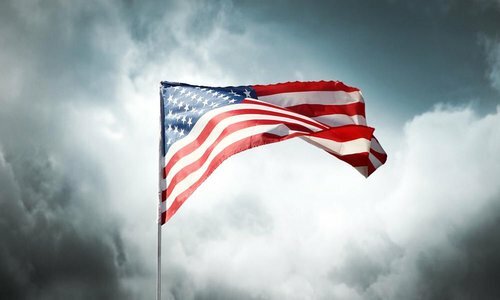 Over the past 12 months we witnessed great political shaking, Wall Street experienced the worst downturn that we have seen since 2008, the crust of our planet was rattled by an increasing number of major seismic events, social decay spread like wildfire, and America continued to become even more divided as a nation. In comparison, 2017 was rather bland and boring, and I truly believe that one day we will look back on 2018 as a major turning point. #1 One study found that the average American spends 86 hours a month on a cellphone. #2 A different study discovered that 37 percent of all Americans have eaten fast food within the last 24 hours. #3 60 percent of all Americans actually believe that they have seen a ghost. #4 The middle class continues to decline, and at this point half of all American workers make less than $30,533 a year. #5 Since 2007, the total amount of student loan debt in America has nearly tripled. #6 The suicide rate in the United States has risen by 33 percent since 1999. #7 Suicide is now the second leading cause of death for Americans from age 15 to age 24. #8 According to the United Nations Population Fund, 40 percent of all births in the U.S. now happen outside of marriage. But if you go back to 1970, that figure was sitting at just 10 percent. #9 13 million households in the United States do not always have enough food to eat. So if you have enough food to eat every day, you should consider yourself to be very blessed. #10 According to the U.S. Department of Agriculture, almost 1 out of every 4 children in rural areas is currently living in poverty. #11 At this point, almost 52 percent of all children live in a home that receives monthly help from the federal government. #12 Over half a million people are homeless in the United States right now. #13 Today, a million Americans are living in their RVS, and that number is rising with each passing year. #14 Social decay is clearly evident even in our most prosperous cities. One recent investigation found 300 piles of human feces on the streets of downtown San Francisco. #15 62 percent of all U.S. jobs do not pay enough to support a middle class lifestyle. #16 In 1980, the average American worker's debt was 1.96 times larger than his or her monthly salary. Today, that number has ballooned to 5.00. #17 Over half the country now receives more in government transfer payments than they pay in taxes. #18 According to one recent study, the "rate of people 65 and older filing for bankruptcy is three times what it was in 1991". #19 More than 100 churches in the United States are dying every single week. #20 If you go back to 1986, just 10 percent of all young adults were "religiously unaffiliated", but now that number has jumped all the way to 39 percent. #21 According to one recent survey, Americans from the age of 18 to the age of 29 favor Democrats over Republicans by a 66 percent to 32 percent margin. #22 One study found that one-third of all American teenagers haven't read a single book in the past year. #23 The number of married couples with children in the U.S. just reached a 56 year low. #24 In the city of Baltimore, approximately one out of every four babies is born as an opioid addict. #25 According to the New York Times, approximately 110 million Americans have a sexually-transmitted disease right now. #26 It is being projected that the total amount of plastic in the oceans of the world will exceed the total weight of all fish by the year 2050. #27 90 percent of all seabirds in the world now have plastic in their stomachs. Back in 1960, that number was sitting at just 5 percent. #28 In August, we learned that the number of global earthquakes over the last 30 days had risen to a level that was 50 percent above normal. #29 In September, an all-time record high seven named storms were swirling across the globe simultaneously. #30 In October, we witnessed the third largest single day point crash in stock market history on the exact same day that the third most powerful hurricane in U.S. history made landfall. #31 In November, the Camp Fire destroyed 14,000 homes and businesses in northern California. It was the most destructive wildfire in the history of the state. #32 According to the official Twitter account of Mount Washington Observatory in New Hampshire, they had wind chills of between -70 and -75 degrees on Thanksgiving morning. #33 In the aftermath of the magnitude 7.0 earthquake that rattled Anchorage, the state of Alaska was shaken by more than 1,400 earthquakes. #34 In early December, the largest earthquake in 45 years hit eastern Tennessee. #35 During the last full week before Christmas, the Dow fell 1,655 points. That was the worst week for the stock market since the financial crisis of 2008. #36 The National Retail Federation was projecting that total Christmas spending would surpass $465,000,000,000 in 2018. Only 25 countries on the entire planet have a GDP that is greater than that number. #37 In 2017, the Dow was either up or down by 1 percent or more just 8 times. In 2018, it happened 64 times. Volatility has returned to Wall Street in a major way, and that is a really bad sign. #38 A recent survey of corporate financial officers discovered that 82 percent of them believe that a recession will have started by the end of 2020. #39 During 2018, the U.S. national debt increased by nearly 1.4 trillion dollars. We are now almost 22 trillion dollars in debt, and there is no end to our debt problems on the horizon.